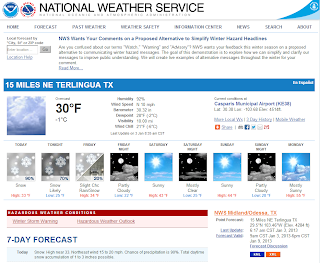 You really could 'Ski Terlingua' today! At least, in our neck of the desert you can. We got over five inches of gorgeous powder last night. This is the most snow we have ever seen out here, and it is amazing. Naia is loving it, and Wrinkles won't go anywhere near it. And we turned our satellite telephone off to conserve power, by the way. You'll be able to call us when the sun comes back out (which looks like tomorrow)! We opted to spend the night at Cafe Colando yesterday evening, and it is a good thing, too. Having a house on stilts is great most of the time, but when there is bad winter weather those stairs are deadly! Now we are headed over there in the 4WD pickup to check on the birds. I'm sure the Buttercups are miserable, but the Brahmas are probably fine. They are hardy in all sorts of conditions, whereas the Buttercups prefer mild weather. Can't even see the Christmas Mountains today. 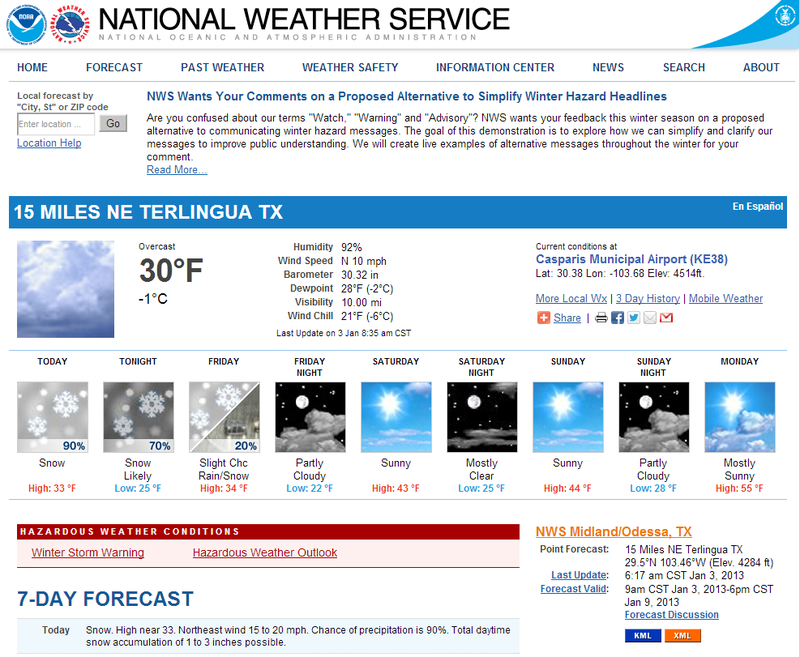 A very gray day here in Terlingua, with thick snow clouds weighing heavily around us. It is always exciting to get snow in the desert, since it only happens once or twice each year. If the sun comes out, the snow will not melt, but sublimate, meaning it skips the liquid phase and go straight to water vapor because of the incredible dryness of the desert. But there is no sign of the sun and little hope it will show itself at all today (check out our local forecast here). 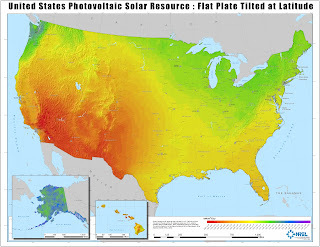 Bad news for photovoltaics, but if we are conservative with our power, our battery reserves can last for days. 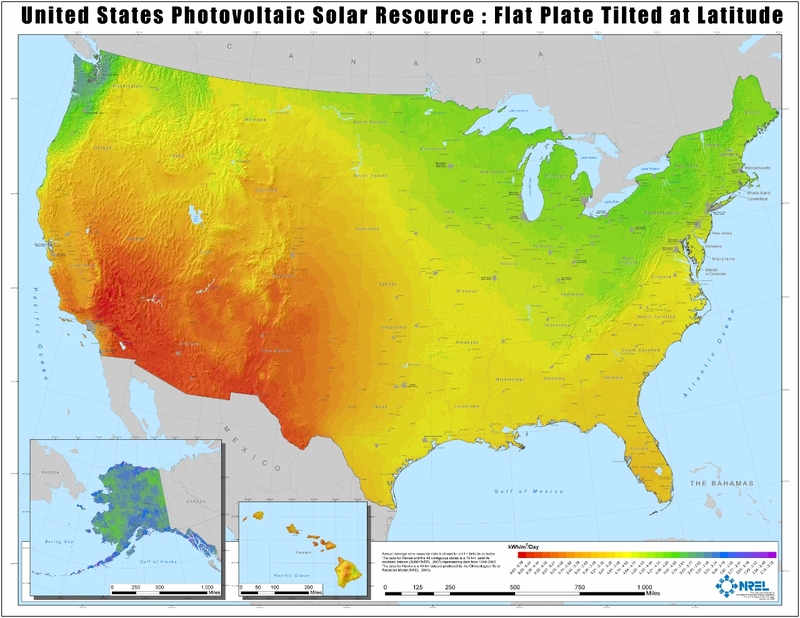 When we began studying photovoltaics back in New York, the standard was to design the systems with enough reserve to supply at least a week of power with no input. This means everything has to be oversized, not just the battery bank but the array size that pumps in the juice, and therefore all the components that handle the current as well. This is one of the main reasons that solar power is so much more expensive in cold, cloudy New York State. Here in the American Southwest, we get some of the strongest insolation in the nation, and very few cloudy days. This allows us to size systems smaller, usually preparing for a maximum of three days without sun. 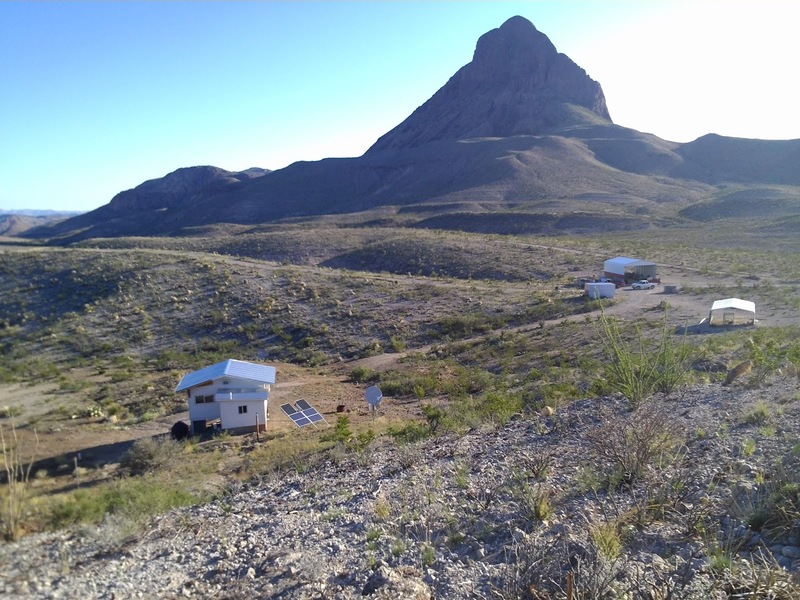 But sometimes, even here in the Chihuahuan Desert, we exceed our reserves and have to have a backup plan. 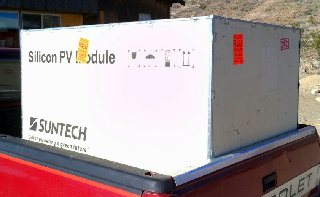 So once in a blue moon, we have to run a generator to keep our batteries charged. It is so important to keep the batteries above 50% charged, or else we risk damaging the batteries, which are the most expensive and weakest link in the system. In the future, we hope to use a renewable fuel like biodiesel or woodgas to power the generator. But right now we don't have a diesel genny, and the woodgas apparatus is too big and cumbersome to run alongside our house on the hill (moreover, the desert sun has really taken a toll on the plastic components!). But so far, so good. We haven't used all our power yet, and we plan on being very careful with what we have got until the sun comes back out.